In times of usability everything needs to be efficient and easy or ready to use. Products are tools to make our life easier or more efficient. Luxury products are spared by this. They are the opposite approach. Owning and showing them off means to demonstrate wealth and power. There is another way in product design that neither touches the tool nor the luxury approach. To spot this we need to shift attention away from user-centrism for a moment. The example Morinosuke Kawaguchi used in one of his DIME articles was the horse in the popular anime “Fist of the North Star” (In Japanese Hokuto no Ken). 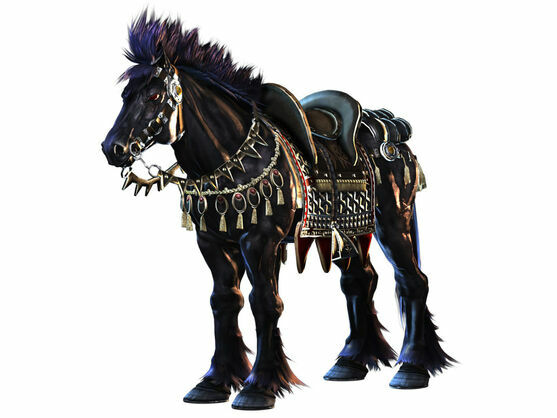 This horse named Kokuougou, a giant and smart black stallion that, instead of serving either the hero or the evil antagonist, chooses which “master” to serve. As opposed to being subservient, it has a mind of its own. It will not recognize the owner, but the owner’s capability or condition. If the capability is not met, then the horse will not render its impressive services. The brand value of the Kokuougou product is that the owner feels honored to be accepted by it. This goes beyond mere ID recognition. Something has to be done to “earn” the product’s effects and affection. The psychological effect results in higher value on both sides. If the Kokuougo principle was not to be transfered to today’s vehicles for example, we see that cars, no matter what the branding strategy might be, always remain just tools in the hands of the owner. According to Kawaguchi, to build premium uniqueness, the element of eligibility is important to make the user feel special. It is the designer’s task to set the condition and determine when the customer becomes eligible.